The 2018 Nissan LEAF won J.D. Power's inaugural Engineering Award for Highest-Rated Vehicle Redesign. The LEAF was originally introduced on the market in December 2010, and since 2018 (in Japan since late 2017) has been available in a heavily upgraded second-generation version (40 kWh battery and 110 kW electric motor), which this year will also get the 62 kWh battery e+ version. Part of the successful redesign was also the more attractive look of the car. More than 400,000 LEAFs were sold globally since the vehicle's introduction, which is the highest level for any plug-in car. "This award is a credit to hundreds of Nissan technical professionals here in the U.S., as well as in Japan. Any vehicle redesign requires a massive amount of coordination across many functional teams, and I am very proud of the excellent vehicle this effort produced which has been recognized by J.D. Power." "While J.D. Power has become known for benchmarking quality in all phases of the automotive industry for the past 50-plus years, we wanted to recognize the achievements of the engineers who translate concept vehicles into practical road vehicles. 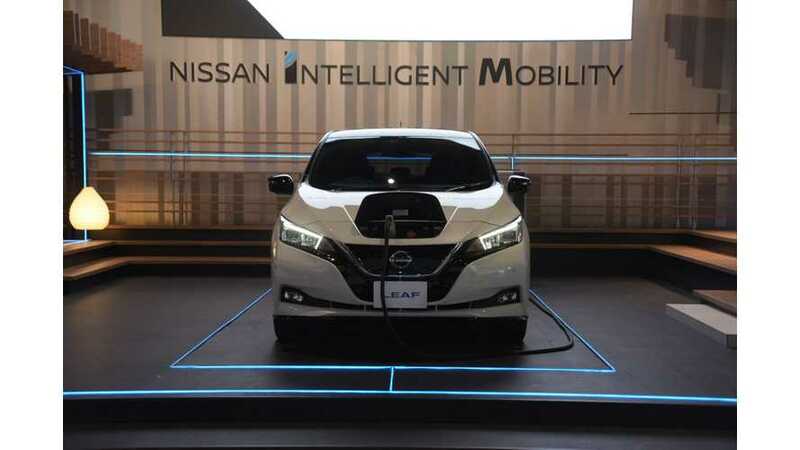 Nissan launched its first LEAF vehicle in 2010, and their engineers were able to utilize the lessons learned from that vehicle and successfully apply improvements to the redesigned vehicle."